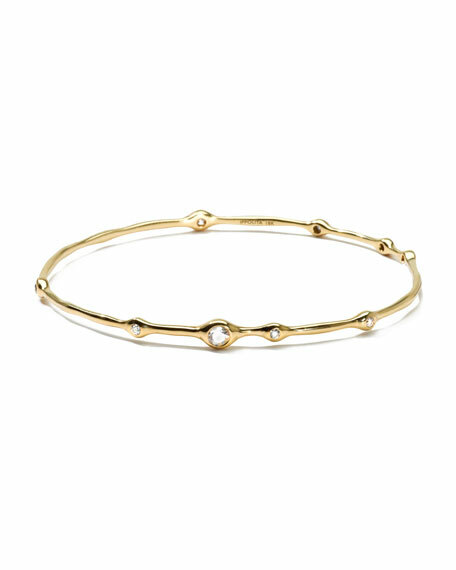 Make any look sparkle with timeless gold and diamonds. 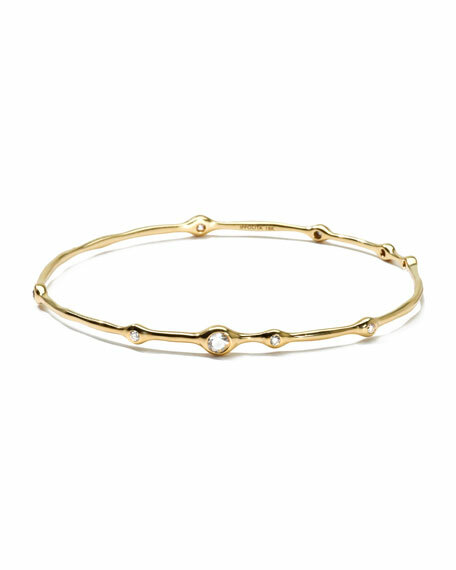 18-karat yellow gold bangle with Ippolita signature hand-hammered finish. Nine HI/SI diamonds, 0.5 total carat weight. Oval-shaped for secure fit; 2 1/10" x 2 1/2" opening (54x63mm). 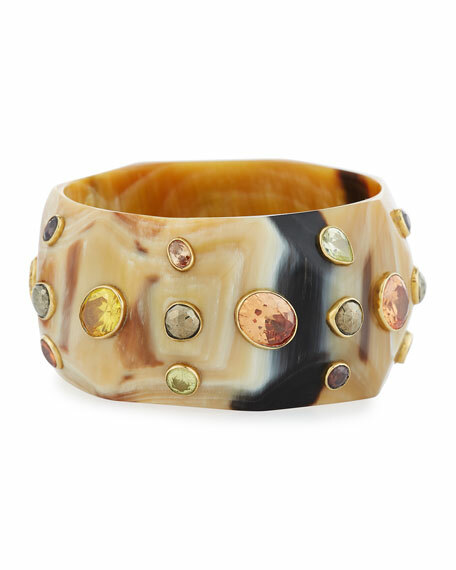 "Bure" bangle by Ashley Pittman. African dark horn with hand-inlaid bronze. Mixed bezel-set stones in a floral pattern. Turquoise, lapis, orange tourmaline and citrine. Approx. 2.5" diameter; 1.3"H. Slip-on style. Handcrafted in Kenya. 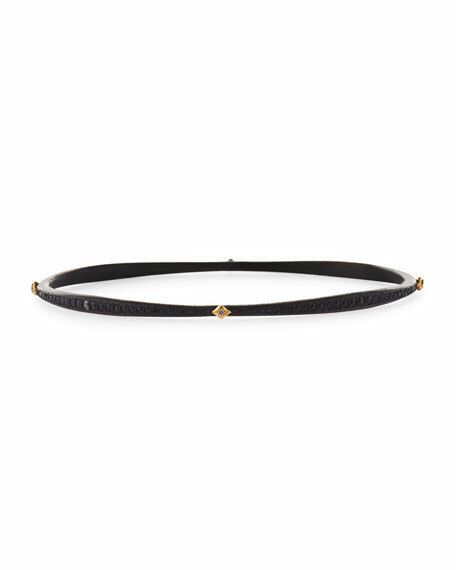 Ashley Pittman "Lipua" bangle bracelet. From the Umri Collection. Faceted light horn with lime quartz, orange zircon, citrine, and garnet bezels. Approx. 2.5"D. Slip-on style. Handcrafted in Kenya. 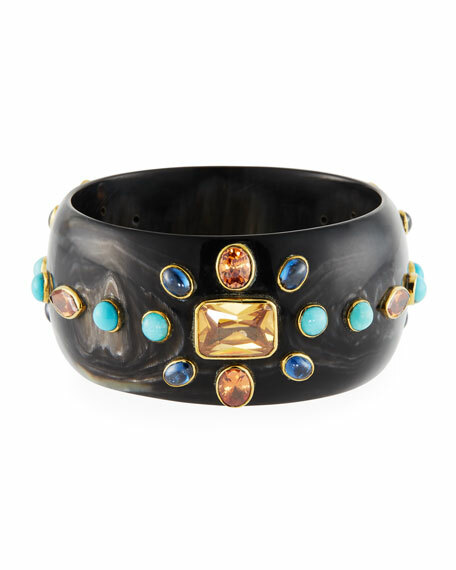 Ashley Pittman "Nishani" bangle bracelet. From the Umri Collection. 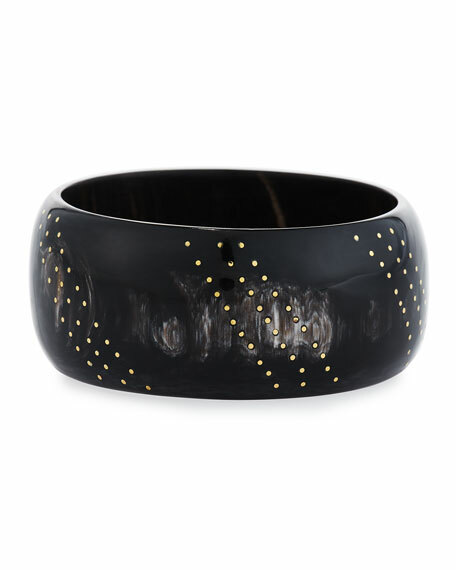 Dark horn with diagonal inlaid bronze dots. Approx. 2.5"D. Slip-on style. Handcrafted in Kenya.